The CDC looked at tobacco product use among U.S. youth from 2017 to 2018 and the results are alarming, with e-cigarettes called out as the main culprit for the increase. Use of any tobacco product grew by 38.3 percent among high school students in the last year and 4.9 million youth became current tobacco product users in 2018. E-cigarette use increased from 11.7 percent to 20.8 percent among high school students and from 3.3 percent to 4.9 percent among middle school students from 2017 to 2018. No change was found in the use of other tobacco products, including cigarettes, during this time. Dr. Wilson said e-cigarettes are designed to simulate the act of smoking and delivering nicotine, which is highly addictive. “Even though exposure to toxic chemicals for a single vaping session may be limited, there is likely a cumulative affect for youth who start vaping at a young age and continue to do so over lifetime,” he said. Recent research suggests nicotine exposure may also cause the brain to become addicted to other substances. Youth nicotine use can lead to addiction and can harm the developing brain, impacting learning, memory and attention. Vapor from some e-cigarettes has also been shown to contain known cancer producing and toxic chemicals, such as diethylene glycol and nitrosamines, as well as small particles of toxic metals. Dr. Wilson points out this latest in-depth study from the CDC only adds to the growing concern among other health care experts in recent years. Vaping “has the potential to create a whole new generation of kids who are addicted to nicotine,” said Vivek Murthy, M.D., then the U.S. surgeon general, said in December 2016. JUUL is the most commonly sold e-cigarette in the U.S. It’s shaped like a USB flash drive and is easy to conceal. JUUL uses liquid nicotine refills called “pods,” which contain at least as much nicotine as a pack of cigarettes and are available in flavors that appeal to youth. The product is being used by youth in schools, including inside bathrooms and classrooms. The CDC asks that parents set a positive example by not using tobacco product themselves and learn about different types and risks of tobacco products including e-cigarettes. Read the full report from the CDC here. Although most of his professional focus has been in the area of childhood diabetes, Dr. Wilson has expanded his role in the related areas of childhood obesity, insulin resistance and dyslipidemia. He is board certified by the American Board of Lipidology, a Fellow of the National Lipid Association and an Associate Editor for the Journal of Clinical Lipidology. 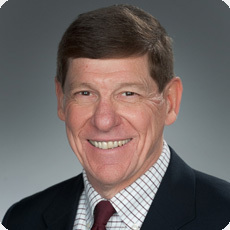 Dr. Wilson is currently a member of the board of directors of the Southwest Lipid Association and the American Board of Clinical Lipidology. Recognizing that current approaches have proven inadequate to identify and effectively address the growing concern of premature cardiovascular disease, Dr. Wilson has been working with local, regional and national experts to create a better clinical care model that will provide enhanced health care, assessment, research and education for children and adolescents with genetic and acquired forms of dyslipidemia.